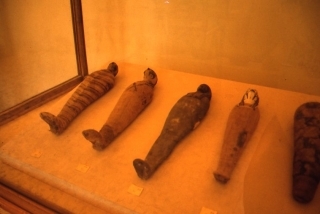 Animal mummies were produced in large numbers by the Ancient Egyptians for donation to their gods as votive offerings. This talk describes research currently underway at the University of Manchester to apply non-invasive technology to investigate the contents and construction methods of animal mummies. Dr McNight's interest in human and animal mummification began whilst studying for a BSc in Archaeology at the University of York, completing a dissertation on the animal collection from Bolton Museum and Art Gallery. This involved hand-developing the images in the departmental broom cupboard during a particularly warm British summer! In 2001, she gained an MSc in Biomedical and Forensic Egyptology at the KNH Centre, the University of Manchester, concentrating on the Manchester Museum collection, using the sophisticated clinical imaging suite at the Manchester Royal Infirmary. She was awarded a PhD in 2008 with a thesis investigating four major museum collections using clinical imaging techniques. In June 2010,she began work as a Research Associate on the Ancient Egyptian Animal Bio Bank Project which aims to increase our knowledge and awareness of mummified animals in museum collections. 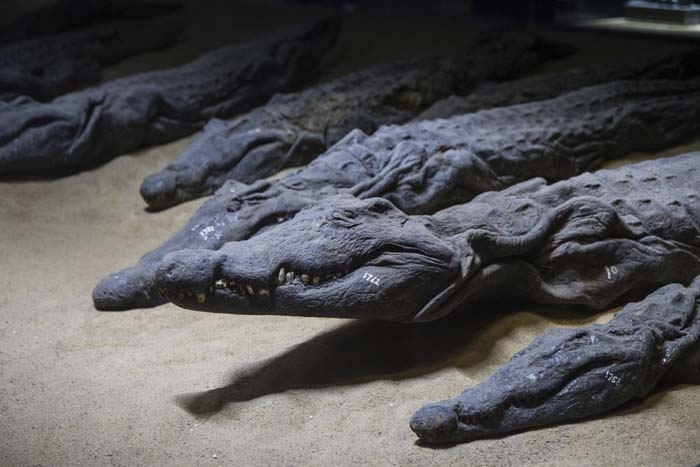 To date, the Bio Bank holds records for 960 animal mummies held in 59 museum collections (54 in the UK, 2 in the US and 2 in Europe), including radiographic analysis of 400 animal mummies which have been radiographed by the Manchester team. In September 2010, the project was awarded funding from the Leverhulme Research Project Award (RPG-2013-143) under the title 'An Investigation of Ancient Animal Mummies using Diagnostic Radiographic Imaging'. Work continues on the application of clinical and industrial imaging techniques to the study of ancient mummified animal material and also the use of experiential techniques to replicate ancient mummification methods. One distinct research theme is how accurately we can identify animals to species level using radiography alone from wrapped animal mummies. A range of experimental mummies have been produced blind (using unknown species) to test this theory. She is particularly keen to improve the relationship between academia and cultural institutions, helping to foster positive relationships through which museum collections can be investigated, interpreted and displayed.